this sake inherits his ethos of always challenging himself to produce new and innovative sake. 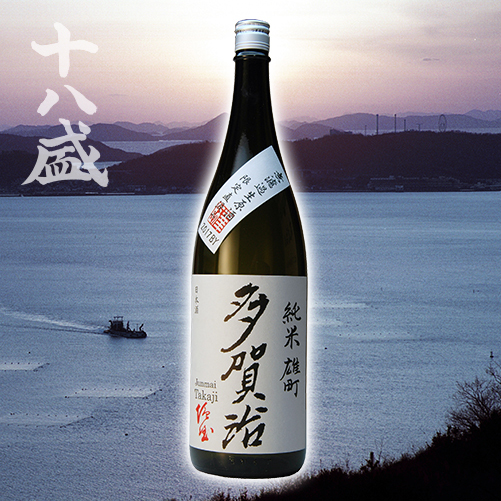 Made from only locally cultivated Okayama rice and using fresh clear water from the nearby Takahashi river, the Takaji series is fastidiously brewed to the highest standard. 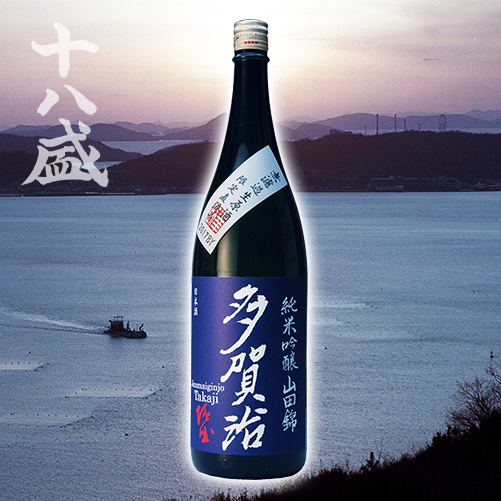 Bottled immediately after pressing, this lively sake naturally displays a fresh fragrance with lustrous umami. This softness of the umami present is a characteristic of the Omachi rice and is complimented by notes of tropical fruits with a firm backbone of balanced acidity. This is all rounded off with a crisp and clean finish. 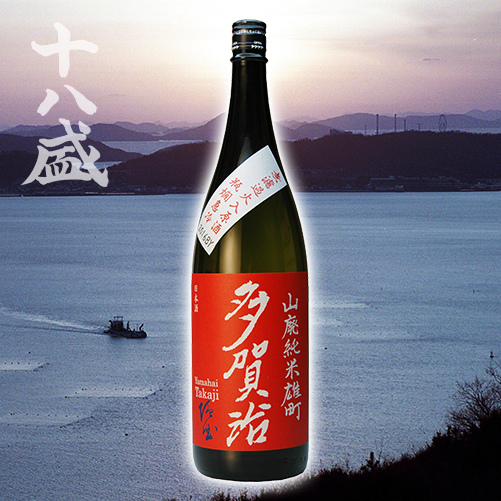 Almost identical to its un-pasteurised sibling, this sake was pasteurised just once in-bottle in order to contain the lively nature of its pasteurised counterpart. Slightly more mellow as a result of this proccess , this sake still manages to maintains virtually all of the qualities of its more raw counterpart. However, this time with slightly more balance and an easy drinking freshness. 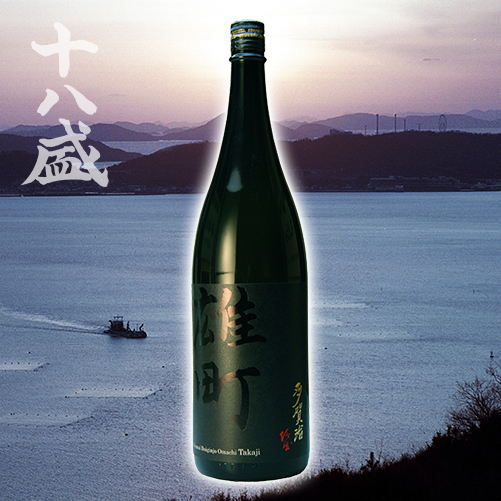 Brewed using Yamada-Nishiki rice, this sake reveals a beautiful fragrance of green apples. The locally cultivated rice imparts a wonderful balance of flavours with sweetness, acidity and umami all working together in harmony. Very close to its un-pasteurised sibling, this sake was brewed using Yamada-Nishiki rice and displays a beautiful fragrance of green apples. The Yamada-Nishiki rice imparts a wondeful balance of flavours with sweetness, acidity and umami all working together in harmony. Brewed in the traditional Yamahai method, this sake utilises naturally occurring lactic acids which give an added complexity to the flavours. The fuller richness and unique array of flavours lends this particularly well to pairing with a wide variety of foods. After the initial gentle aroma, the first sip reveals the work of the special blend of yeasts which work in harmony to create a unique savoury aroma. As you saviour the tightly condensed sweetness from the Asahi rice, the finish is mellow, rounded and smooth. Brewed from highly polished locally sourced Omachi rice, this is the ultimate expression of Takaji. 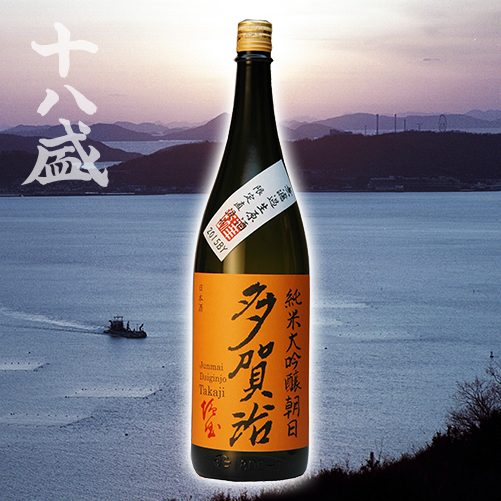 As a result of the high polishing ratio of the rice, this sake displays a clean and sharp taste, whilst at the same time managing to maintain the wonderful umami character from the Omachi rice.